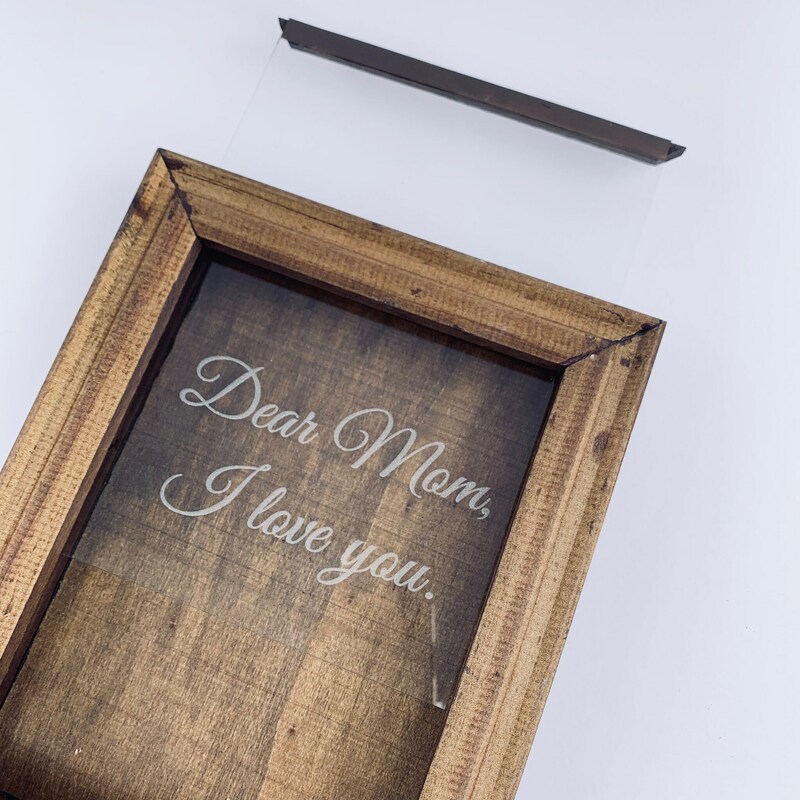 Show your Mom how much you love her by creating your own Mother's Day display! 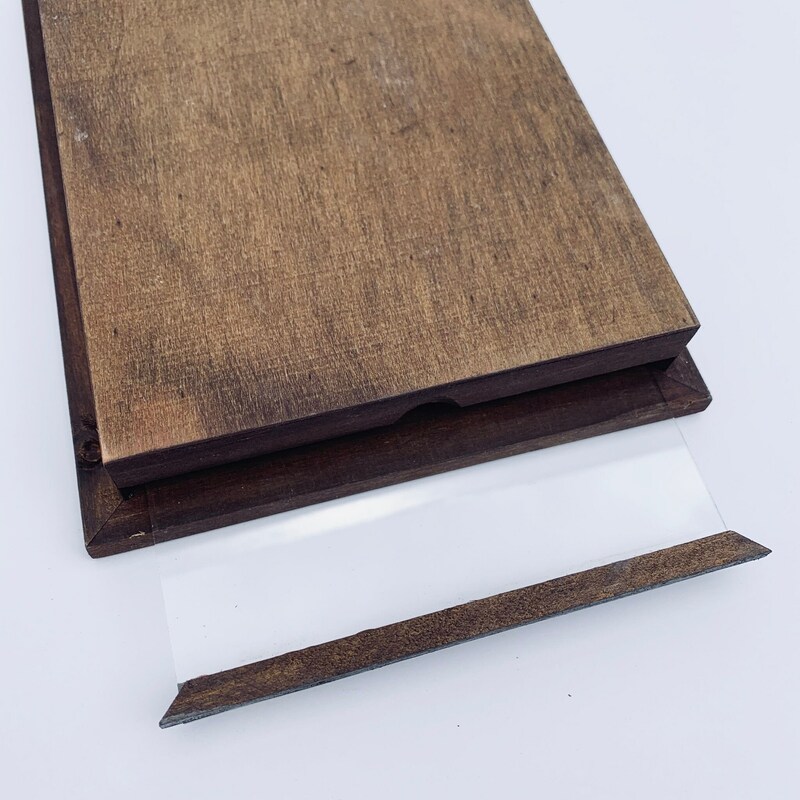 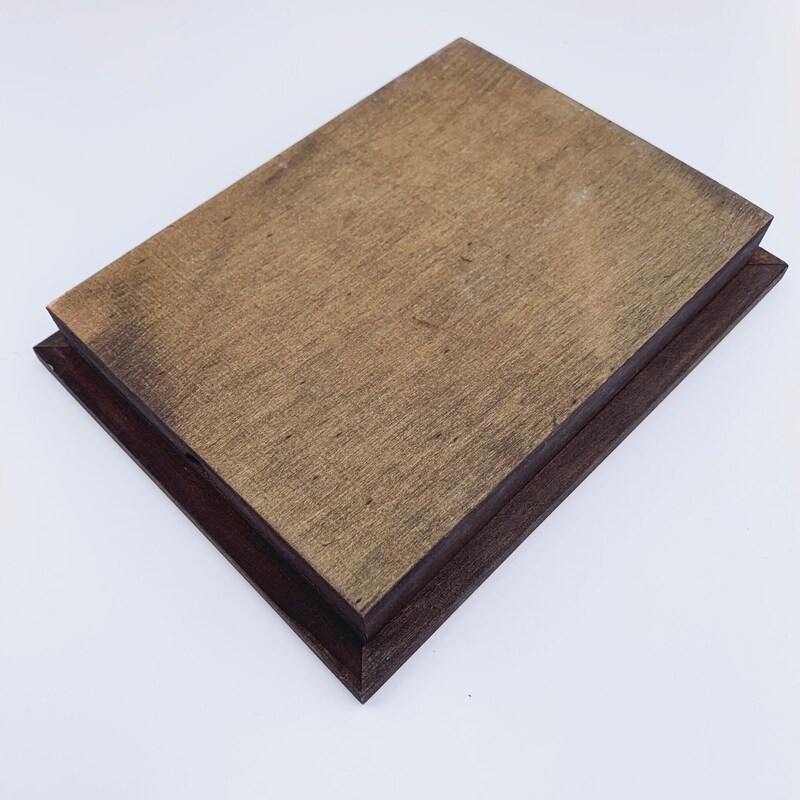 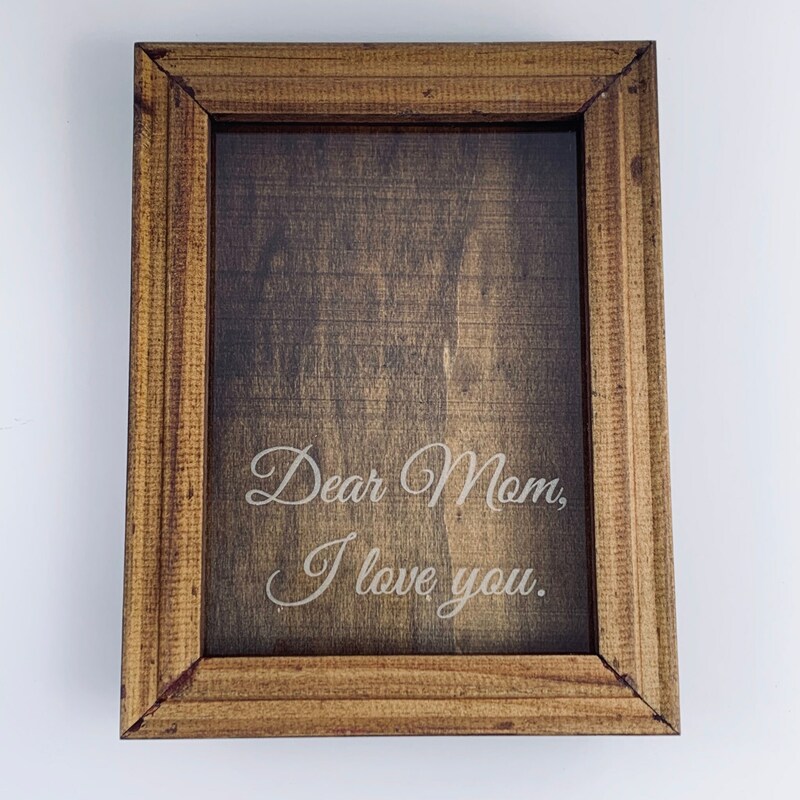 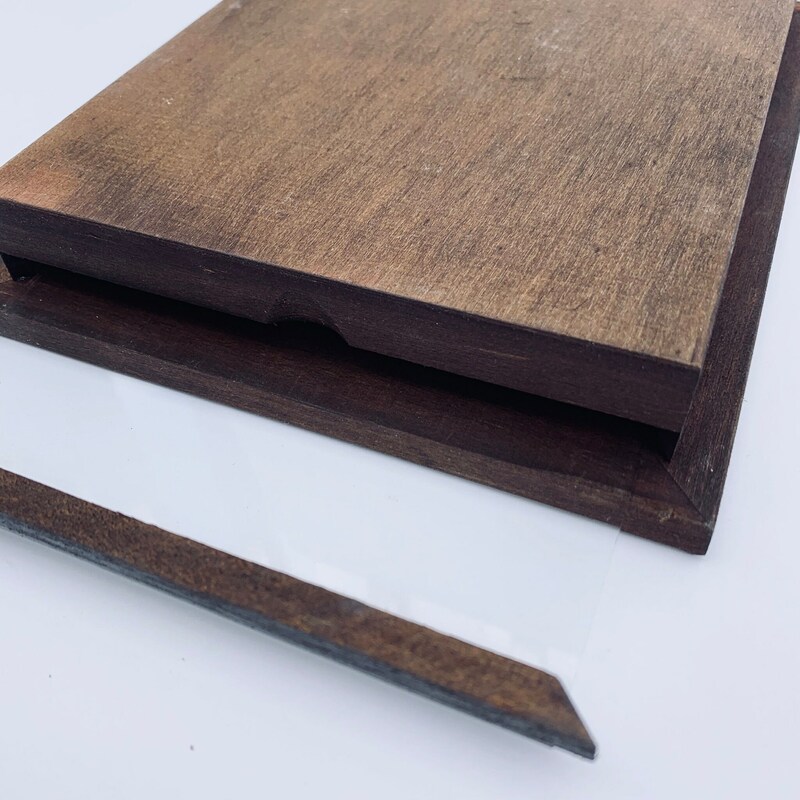 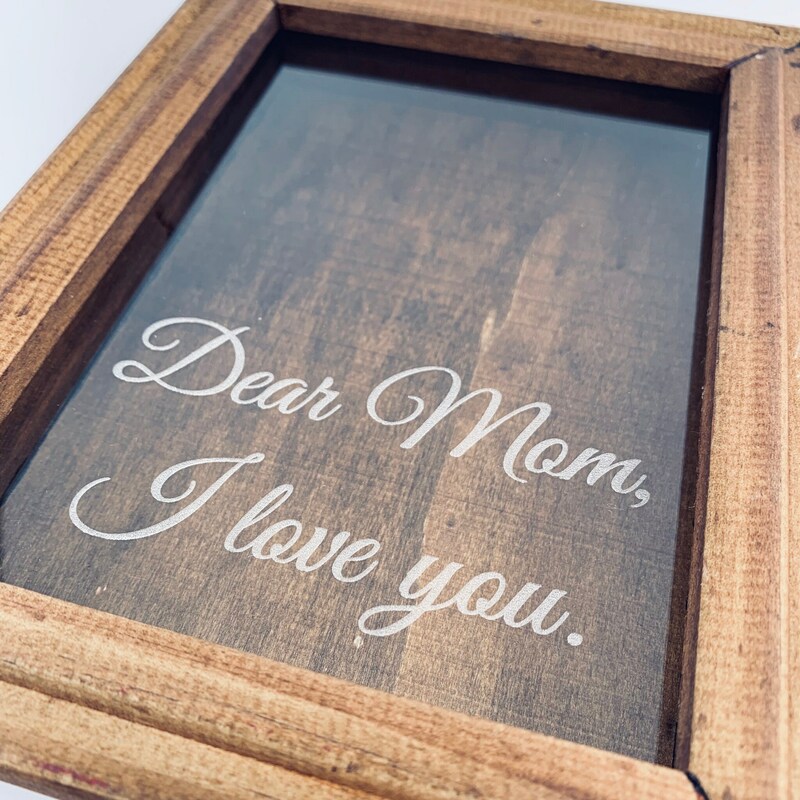 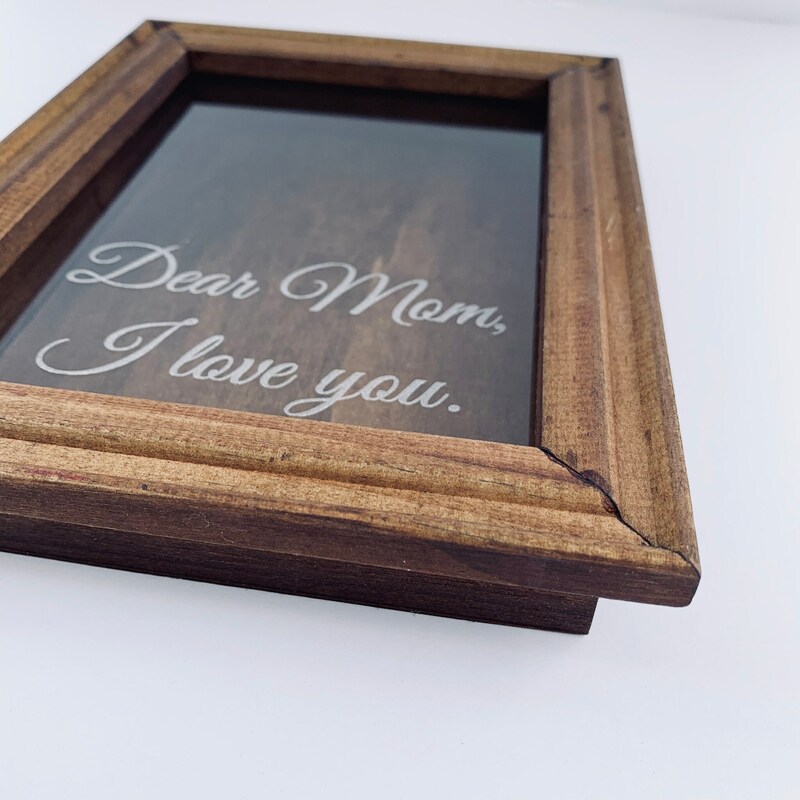 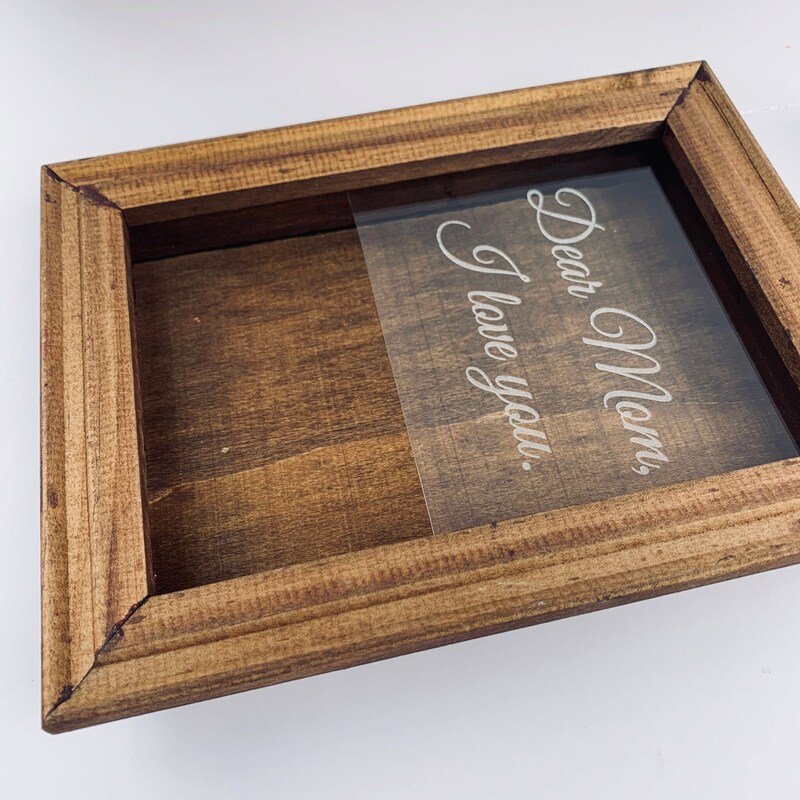 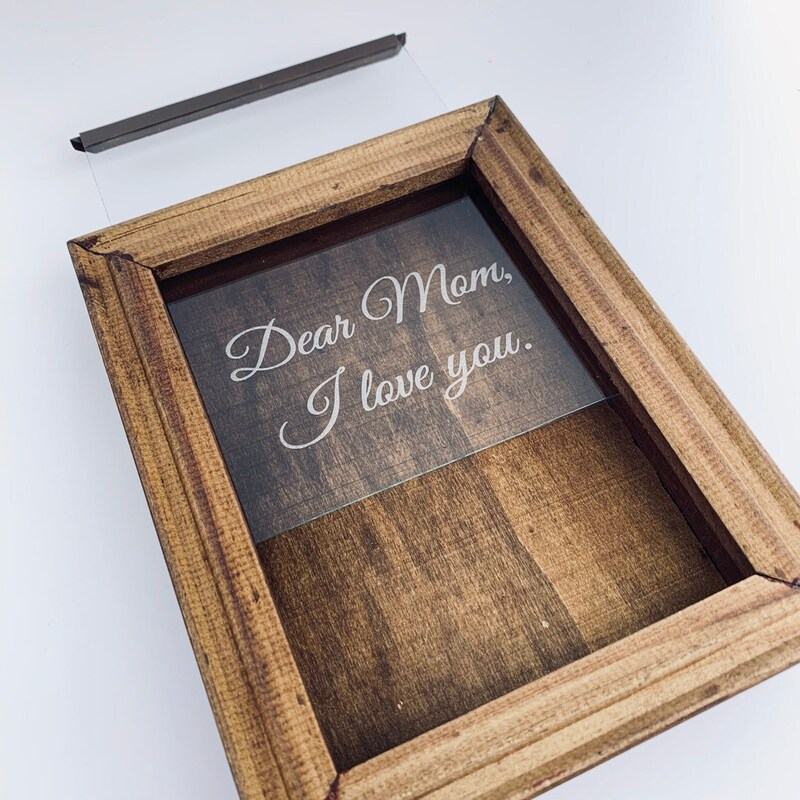 This walnut finished wooden shadow box features a beveled, 5 x 7 inch frame with a sliding glass lid that is laser engraved with the beautiful sentiment, "Dear Mom, I Love You." 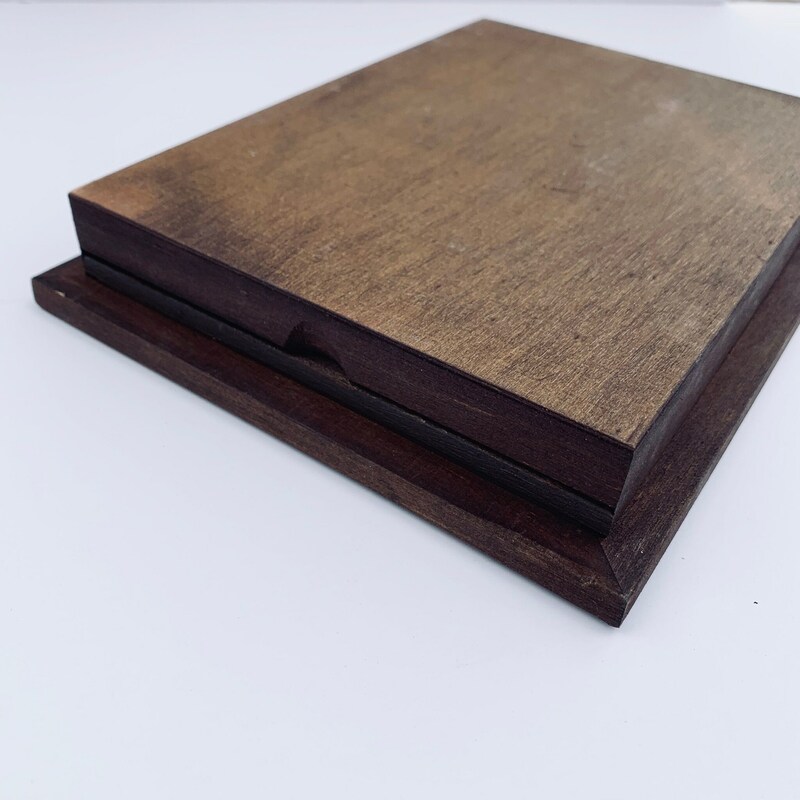 It is ready to decorate with embellishments - and fill with special mementos or decorative accents.